THERE’S NO BETTER CHOICE FOR GOING SOLAR. At Reborn Energy, we believe in a better way to power homes and businesses at a lower cost while contributing to a cleaner planet. As a full-service solar provider, we make it easy to enjoy the benefits of clean, renewable energy. Reborn Energy’s professional installers can get solar panels on your roof in rapidly using our low-impact, high-efficiency mounting system technology. Our efficient and accurate design will help maximize your solar energy capabilities, as well as provide a sleek new look. 4/7 monitoring with a guaranteed warranty and repairs. Exceptional customer support, To ensure your 100% satisfaction. No hassle, We are here to install it for you. Our coverage is the best in the industry, with repairs and a production guarantee at no additional cost. How will solar panels look on my roof ? In a word: fabulous. Our modern, low-profile design and premium front trim integrate elegantly into your roof. It's a look that never goes out of style. Electricity rates are skyrocketing but the Cost Of Solar has never been lower. Learn why now’s the time to switch. Flexible payment options put you in control. Find out whether buying or leasing solar panels is right for you. As the world continues to traverse toward ultra-high electricity costs with resources getting scarcer, there is no better time to switch to solar energy than now. If you’re not already considering going solar for your home or commercial setup, you really should and here’s why. The technology innovations behind solar energy is a long list that dates back to as recent as 2016. Storage improvements, efficiency upgrades, solar design tech and advanced solar panel capabilities have been the norm, driving costs down and contributing to much improved power output. Solar energy can be categorized according to two main types – Concentrated Solar Power (CSP) and Photovoltaics (PV). CSP draws power from sun rays which generates thermal energy, thereby powering heaters and turbines, just to name a few. PV solar technology captures sunlight to produce electric power, providing environmentally sound solutions to home and business owners. Owing to these two types of solar energy, a wide range of applications and innovations have paved the way for providing some of the most practical and cost-effective solar energy solutions in Florida. Given the alarming rate at which global warming continues to be a pressing worldwide epidemic, more home owners as well as business establishments in Florida are switching to solar energy and enjoying major cost savings in the process. In fact, solar energy in Puerto Rico has also been gaining widespread popularity as a result. What better way to power up your home and business than going solar, saving costs and contributing to a much cleaner, and greener environment? Look for a full service solar provider in your area, so that you can wholeheartedly enjoy all the benefits of clean and renewable solar energy. In your quest to find the best solar energy solutions for houses in Florida, you should always pay heed to finding only a professional installer that can quickly and effortlessly get solar panels installed on your roof, using low-impact, high-efficiency mounting system technology. Design accuracy and efficiency is another thing you must consider whether you’re having panels installed in your home or a commercial establishment. The best solar energy providers in Florida will always ensure top design and energy efficiency along with maximizing your solar energy capabilities, all the while providing a sleek new look for your business or home. After all, who wouldn’t want to make their home truly look like a next-generation, energy efficient home in this day and age? Get an instant estimate on your home’s potential cost savings by going solar. Get in touch with a seasoned solar energy system provider in Springs, Florida today. The world we live in today has created many challenges for the average home and business owner in Florida. These challenges could be anything from question marks around power usage to financial hardships and concerns about leaving a smaller footprint. As homeowners and businesses find ways to significantly cut down living and operating costs, more are switching to solar energy for houses and industry. This “green movement” has been making major headlines in recent years as people are finally starting to pay more attention to the kind of footprint they are leaving on Mother Earth. Photovoltaic solar energy in Florida, for example, is gaining popularity as more professional solar energy providers are offering highly practical and design-efficient solutions. Did you know that Florida happens to be among the four states where citizens are required to purchase power from only the local utility provider? 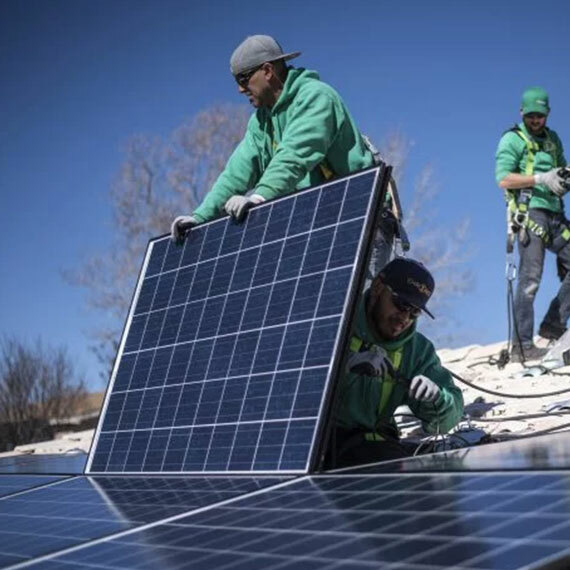 In a bid to break this cycle, some of Florida’s top solar energy providers have come forward to help home and business owners generate power through highly efficient solar panels. Apart from cost-savings through high design efficiency and easy installation, going solar has become very easy. Plus, with the cost of solar panels in Florida going down, folks are eagerly opting for solar on a day-to-day basis. At the heart of a great solar energy system in Florida is a process that makes it super-easy and convenient to have solar panels installed. For instance, your solar energy provider should be able to offer you a free consultation to bring you up to speed on the benefits of solar over conventional energy, and determine if your home or business qualifies for solar energy. Once you have agreed to a quote, your Florida solar provider will custom-design a solar panel system for your space, get started on the installation and turn the power on as you witness the miracle unfold. Whether you are planning to go solar for your home or business, here are some common elements you should look for when shortlisting a top solar energy system in Florida. If a down payment is not an option for you, choose a solar energy company that allows for solar equipment leasing. You’ll only pay for the energy the installed equipment provides, along with rental fees and any extra grid power you may require. Solar panels should last you nearly a lifetime. Still, you need to go with a company that provides a comprehensive warranty plan. In case your solar panels are not functioning as intended, your solar company should send a technician to fix the issue and monitor performance to ensure future efficiency. Florida solar energy companies will typically provide a high degree of flexibility such as offering leases, installment buying and PPAs (Power Purchase Agreement); you should work with a company that offers all four options at the very least. Still on the fence about whether to go down the solar energy route or not? Talk to one of the best photovoltaic solar energy providers in Florida to better understand how a solar energy system can revolutionize the way you look at cost savings and energy efficiency. "There is no one who loves pain itself, who seeks after it and wants to have it, simply because it is pain..."
REBORN ENERGY was founded by a group of engineers and R&D Team with over 20 years of combined experience into the energy segment with the idea of providing leading edge Technology and Renewable Energy Consulting services while maintaining the highest standards of Quality and Customer Satisfaction. Copyright © Reborn Energy 2017. All rights reserved.